We learned of Qachuu Aloom (“Mother Earth” in the Maya Achí language), an indigenous women-led rural organization based in Rabinal, Guatemala, from Groundswell International (www.groundswellinternational.org) and from The Garden’s Edge (www.gardensedge.org). The Garden’s Edge folks told me they were bringing three members of Qachuu Aloom to the National Heirloom Seed & Garden Expo in Santa Rosa (California) in September 2017. So, I decided to attend the event too, where we all learned more about each other. Qachuu Aloom’s mission is caring for Mother Earth in accordance with the Mayan worldview. This has led to community action to rescue ancestral knowledge about sacred seeds ─ corn, beans, amaranth, vegetables, medicinal plants. Its aim is to revitalize the growing, gathering, and consumption of native seeds and nutritious foods to improve the health of families and children. Qachuu Aloom’s philosophy is that seeds are living beings that harbor the history of people who sow them. So, when Achi Maya farmers, many of whom are women, obtain their sacred seeds by gift or trade, they receive them with deep appreciation and gratitude. Achi Maya farmers have learned from their elders how all life is part of an interconnected web of spiritual and physical forces, living beings, and objects. Crops are planted and harvested according to moon cycles. Seeds are stored in clay vessels so they are able to breathe, and they are preserved using medicinal plants. With its Seeds, Soil & Culture grant, Qachuu Aloom is working with Achi Maya youth and elders to conduct participatory research on several food and farming themes including: 1) The sacred nature of maize and amaranth; 2) The relationship of Water, Sun, Earth, and Wind within the Achi Mayan agricultural cosmovision; 3) Achi Mayan people’s reciprocity with sacred seed; and 4) Medicinal plants. 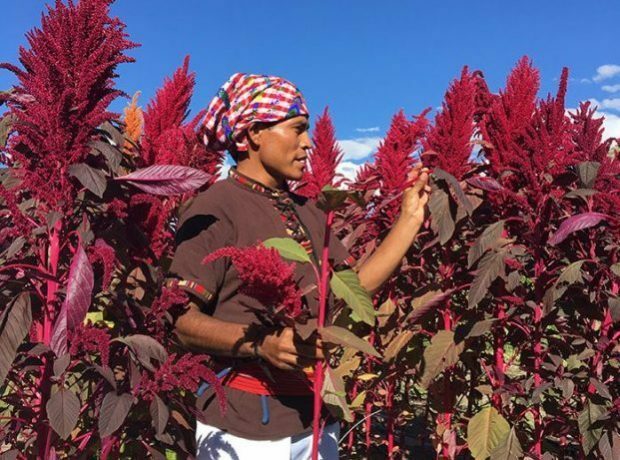 The practical study of corn, amaranth, and the traditional milpa system* includes the physical design of diverse planting system and the spiritual aspects of managing the milpa with respect, gratitude, prayer, and ceremony. It also includes the sharing of stories and information about traditional weaving, yarn making, and plant dyes and how these relate to the Achi Mayan world view. 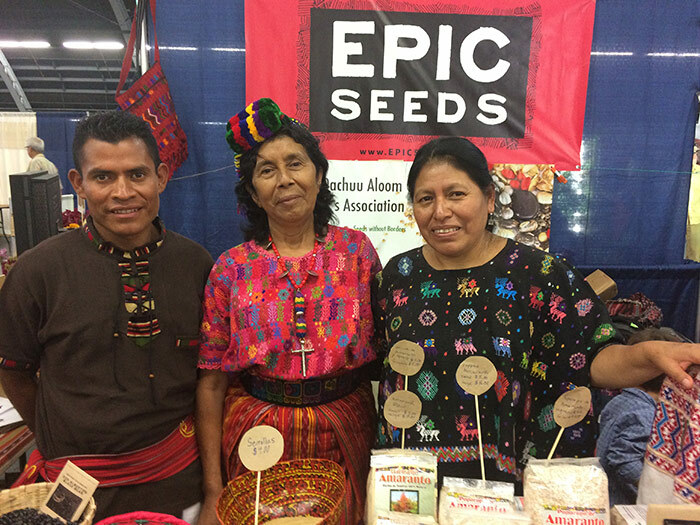 Finally, Qachuu Aloom has been wise to establish and grow a entrepreneurial partnership with Epic Seeds (www.epicseeds.net) from which it has gained an income stream to help sustain the organization financially. Qachuu Aloom is authentic at its core, led by rural women who have endured their share of pain yet have persevered. 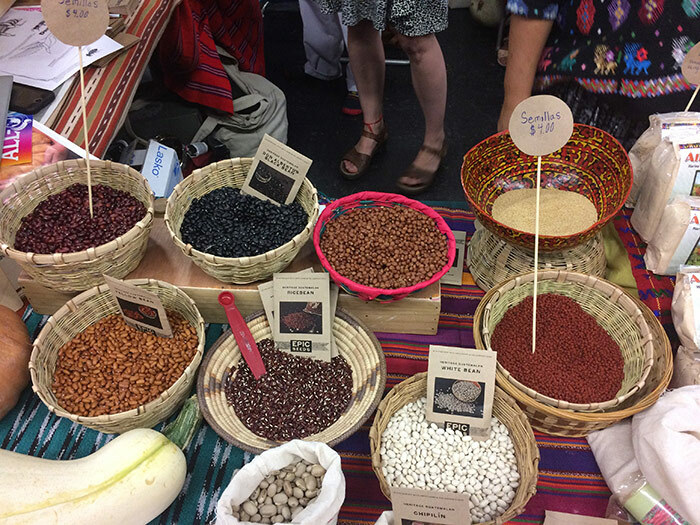 We are so pleased to be Seeds, Soil & Culture partners with Qachuu Aloom because of their authenticity. The widespread regional recognition of Qachuu Aloom as a model for other rural organizations, especially those that are largely composed of women, by grounding their farming in traditional knowledge and culture, is powerfully admirable and inspirational. *The term “milpa” is derived from the Uto-Aztecan Nahuatl word meaning “field” and embraces an agricultural philosophy of working together, reciprocity, and sustainability (from http://www.milpacollective.org/).